Author ReviewSaint - Free Books in Return for ReviewsPosted on October 19, 2018 Categories UncategorizedLeave a comment on Ketogenic Diet, Holistic Medicine and a Guard Against the Prostate Disease: Get a Free Cookbook in return for a Honest Review! Get a Free Seafood Cookbook in Return for a Honest Review! *Instant Pot Fish & Seafood Cookbook: 77 Healthy&Delicious Instant Pot Recipes for Your Family by Alex Baker. Price: Free. 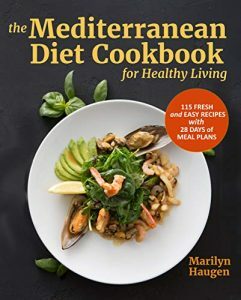 Genre: Cookbook of the Day, Sponsor, Seafood Guide, Quick & Easy Recipes, Nonfiction, Fish & Seafood. Rated: 5 stars on 1 Reviews. 167 pages. ASIN: B071JS8TK6. Please Note: Free in Return for a Review. Please leave a honest review on Amazon when done reading. Thank you in advance. Author KibetPosted on August 14, 2017 Categories UncategorizedLeave a comment on Get a Free Seafood Cookbook in Return for a Review! Author ReviewSaint - Free Books in Return for ReviewsPosted on May 16, 2016 Categories Uncategorized1 Comment on Hello world!